For more than 200 years, Remington has been one of the most trusted names in the shooting world. WIth a rich history and longline of legendary firearms, Remington is known for both tradition and innovation. 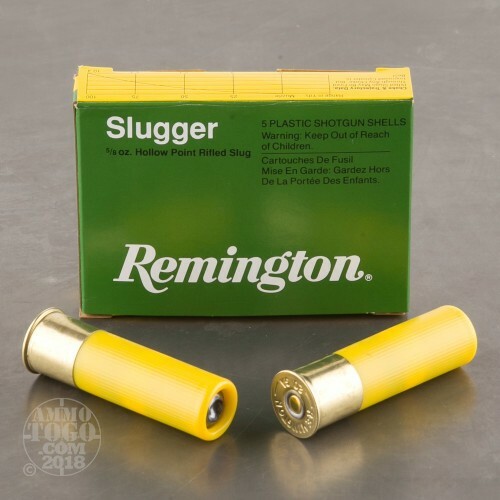 Always pushing the envelope when it comes to effective hunting loads, especially for the ever popular whitetail, Remington developed their Slugger rifled slugs offering hunters 25 percent improved accuracy and impressive hard-hitting, deer-dropping power. 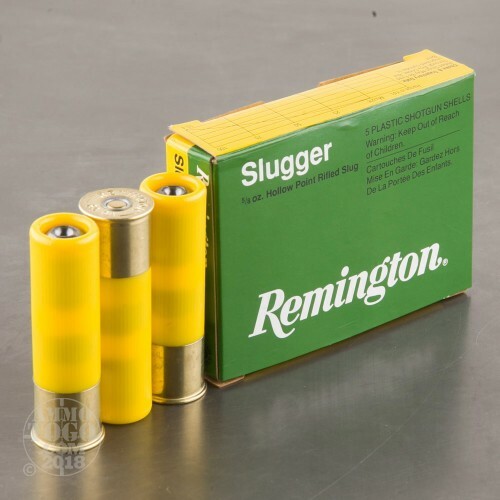 This package contains 5 rounds of Remington Slugger 20 gauge ammunition. Each 2 ¾ inch shotgun shell is loaded with a 5/8 ounce rifled lead slug. 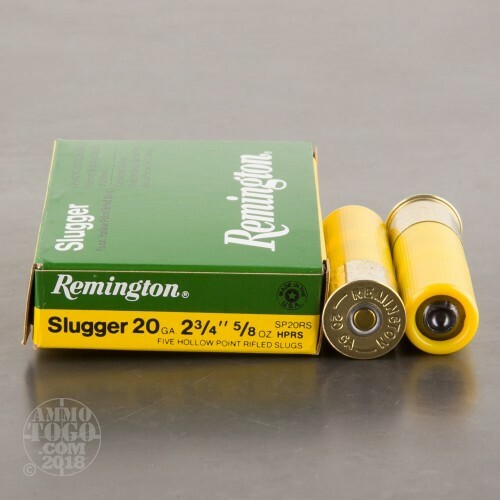 These high-quality slugs are slightly oversized for more effective barrel sealing and more consistent shot-to-shot velocities and improved down range accuracy. 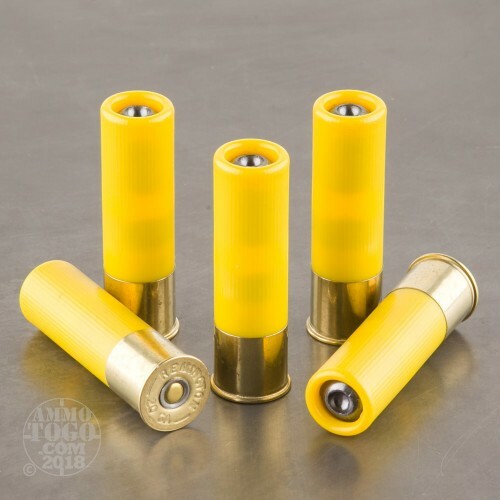 These new production shotgun shells produce a consistent muzzle velocity of 1580 feet per second and 1513 foot pounds of deer-dropping muzzle energy.